Here are our top 5 tips to help you start 2019 as you mean to go on. Put down your phone, and get outside. It might be scary, it might be hard, but we all need to move more. Getting the right gear in the first place can help you to feel more confident if you are just starting out. 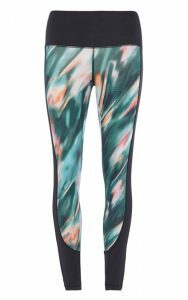 Try these electric feathered leggings from Primark – you’ll want to go running just so you can wear them more often. We brits love to talk about the weather but there is a saying that here at The Friary, we truly embrace ­– there is no bad weather, only bad clothing. Having the right coat for the season can enhance any outfit and refresh your every-day look. 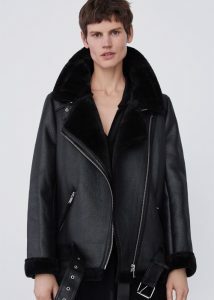 A must-have for the new season is this contrasting biker jacket from Zara, lined with luscious faux fur. A biker jacket is one of the all-time classics that you will look forward to wearing again and again. Taking the time to be kinder to ourselves is something we work to be better at. Whether it’s taking 10 minutes in the morning for quiet meditation or running yourself an indulgent bubble bath before bed, there are tiny things that we can do each day to be kinder to ourselves. Giving your body a boost of vitamins and anti-oxidants can help to support an active lifestyle and prevent colds. 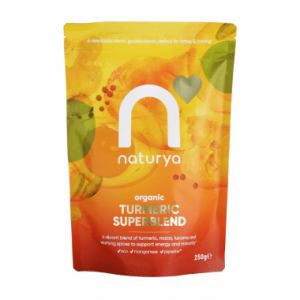 Try adding some of this Naturya Turmeric Blend from Holland & Barrett to your morning smoothie for an easy way to add some nutrition to your daily routine. Going back to work after the long Christmas break can be a serious downer. This teamed with the cold, dark nights can really make January a blue time for some. It is said however, that looking good can have the power to make us feel good in return. When we feel that we are looking our best, our mood and self-confidence can be drastically enhanced – again, it all comes down to self-care. Having something new to wear for work could give you the extra boost to help you make it through to spring. 2019 is all about checks, and Topman have a sleek new range to choose from. 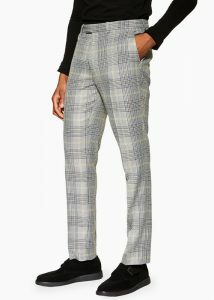 We particularly love these slim-line fit, grey checked trousers — pair them with a hot mustard coloured roll neck to really brighten up a dull January. Digital detox was one of the most-used phrases of 2018 and that trend sets to continue as our lives become ever-entwined with technology. Take time to log off and pick up a real life paper-back – we guarantee you’ll feel better for it. 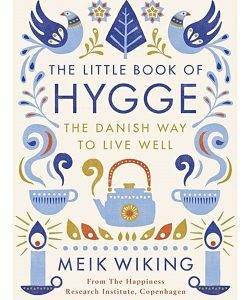 ‘The Little Book of Hygge’ is a Danish guide of how to live well by Meik Wiking. ‘Hygge’ is best translated to English as cosiness, creating intimacy and being in the presence of soothing things. Sounds nice hey? Find this and other inspirational guides to living at Oliver Bonas. And there we have it, our top 5 tips for the best year yet. Head down to The Friary to find all your New Year-needs in one easy visit.